We’ve had a lovely time here in this charming cosy cottage. Most of all enjoyed walking to Start Point then coming home to a stress-free zone here in Kittiwake Cottage. Kittiwake Cottage is a semi-detached, mid 19th century, white-washed fisherman's cottage providing a perfect base for a wonderful holiday in all seasons. The owners have worked hard to make sure that a holiday at Kittiwake Cottage is all you'd expect it to be; by the time you reach the front door, you'll realise that this is a very special place...and when you step inside you won't be disappointed. Sympathetic restoration has retained or restored original features such as the fireplace, wide wooden floorboards and wooden sash windows. The cottage is well equipped, comfortably furnished and tastefully decorated using tranquil seaside colours and natural fabrics. Plentiful windows on three aspects ensure that Kittiwake is light and airy with excellent views over the valley to the sea. 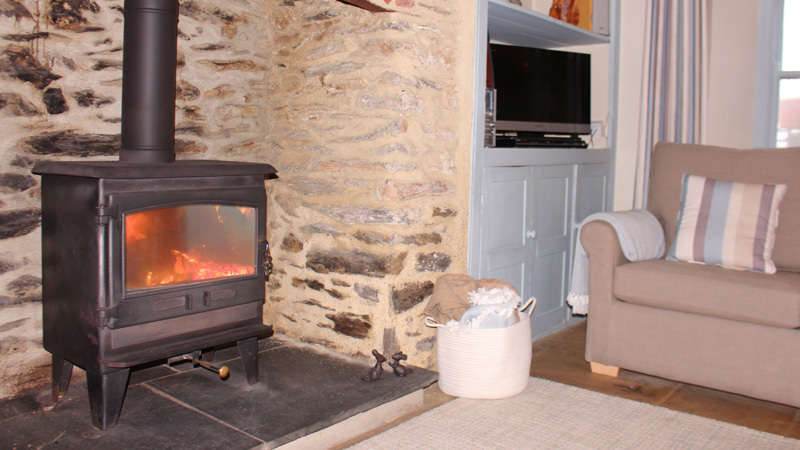 It's cool in summer and cosy in winter, with a log burner in the sitting room and heaters in every room. To save you loading your car to the roof, most of the things you need for your holiday are provided, including professionally laundered, crisp cotton sheets and fluffy bath towels. A full inventory is sent before arrival or available on request. Parking: Parking on the village green is preferred. A space is also available directly outside the cottage (please consider access for delivery / local vehicles if using). Sorry - no smoking, hen or stag parties. Well behaved adult dogs welcome by prior arrangement. Electricity and a plentiful supply of logs are provided free of charge.